"Regular inspection of nuclear power plant components is important to guarantee safe operations," said Mohammad R. Jahanshahi, an assistant professor in Purdue's Lyles School of Civil Engineering. "However, current practice is time-consuming, tedious, and subjective and involves human technicians reviewing inspection videos to identify cracks on reactors." Complicating the inspection process is that nuclear reactors are submerged in water to maintain cooling. Consequently, direct manual inspection of a reactor's components is not feasible due to high temperatures and radiation hazards. Technicians review remotely recorded videos of the underwater reactor surface, a procedure that is vulnerable to human error. Researchers are proposing a "deep learning" framework called a naïve Bayes-convolutional neural network to analyze individual video frames for crack detection. An innovative "data fusion scheme" aggregates the information extracted from each video frame to enhance the overall performance and robustness of the system. Findings are detailed in a paper appearing in October in the journal IEEE Transactions on Industrial Electronics. The paper was authored by Purdue electrical and computer engineering doctoral student Fu-Chen Chen and Jahanshahi, who is the director of Purdue's Smart Informatix Laboratory. Convolutional neural networks are a form of artificial intelligence called deep learning that have been instrumental in the development of various commercial products capable of facial and speech recognition. The new system detects cracks in overlapping "patches" in each video frame while the data fusion algorithm scheme is capable of tracking the crack from one frame to the next. The approach achieves a 98.3 percent success rate, which is significantly higher than other state-of-the-art approaches, Jahanshahi said. The United States is the world's largest supplier of commercial nuclear power, which provides around 20 percent of the nation's total electric energy. Between 1952 to 2010, there have been 99 major nuclear power incidents worldwide that cost more than $20 billion and led to 4,000 fatalities. Fifty-six incidents occurred in the United States. "One important factor behind these incidents has been cracking that can lead to leaking," Jahanshahi said. "Nineteen of the above incidents were related to cracking or leaking, costing $2 billion. Aging degradation is the main cause that leads to function losses and safety impairments caused by cracking, fatigue, embrittlement, wear, erosion, corrosion and oxidation." Although several vision-based crack detection approaches have been developed for concrete, rock, or pavement surfaces, only a few approaches consider crack detection on metallic surfaces. The majority of existing approaches focus on detecting cracks in a single image. "If a crack is not detected in these single images or a noisy pattern is falsely detected as a crack in the image, no other information is available to correct the detection results," he said. To develop and evaluate the proposed system, videos of 20 underwater specimens representing internal nuclear power plant components were collected. Samples were scanned at 30 frames per second, and the convolutional neural network examined each frame for cracks. The data were provided by the Electric Power Research Institute (EPRI), a nonprofit organization funded by the electric utility industry. As the data-fusion algorithm observes a crack from one frame to the next it is able to account for changing configurations due to the moving camera, pinpointing the location of the crack. 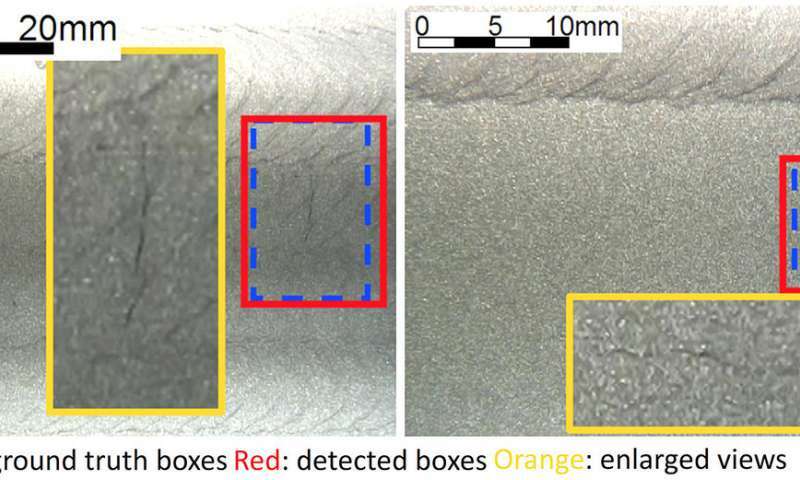 The algorithm mimics the ability of human vision to scrutinize cracks from different angles, which is important because some cracks are obscured by the play of light and shadow, Jahanshahi said. "Data fusion comes up with more robust decision making than would otherwise be possible," he said. 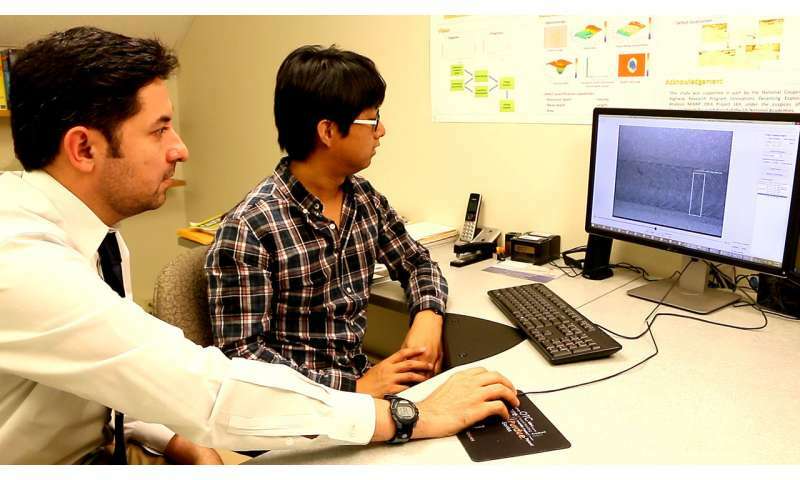 The approach also uses powerful graphical processing units to train the neural network how to detect cracks with a dataset that contains around 300,000 crack and non-crack patches, he said.